Editor that shows RegEx selection and replacement results? 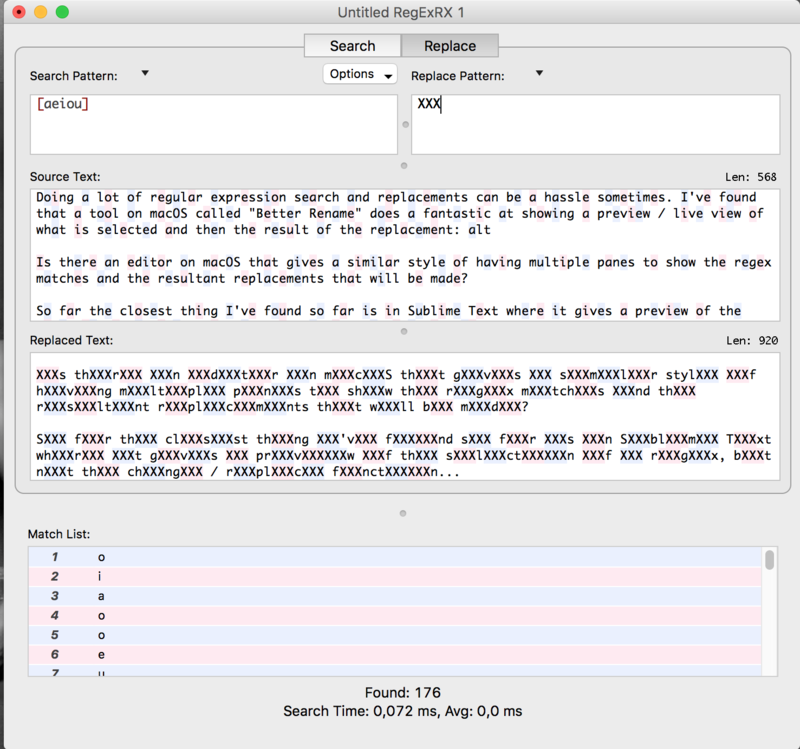 Is there an editor on macOS that gives a similar style of having multiple panes to show the regex matches and the resultant replacements that will be made? The second one allows usage of regexp engines other than Emacs' own regexp engine, which has some differences when compared to, for example, PCRE. To install these packages, add the MELPA package repository to your package-archives variable (in Spacemacs this is done by default), then do M-x package-install visual-regexp & M-x package-install visual-regexp-steroids. Not the answer you're looking for? 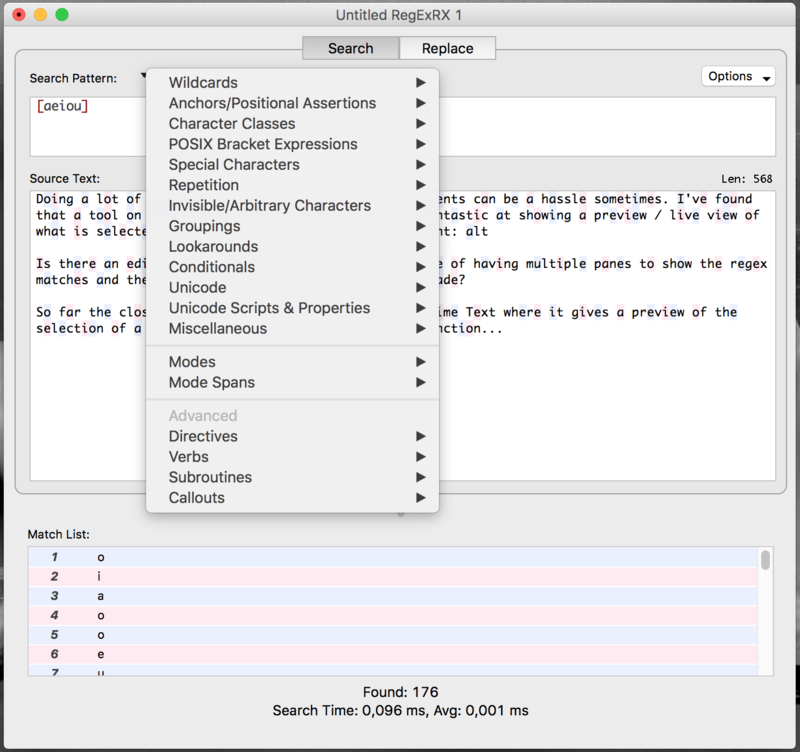 Browse other questions tagged text-editors html-editor regex editor or ask your own question.